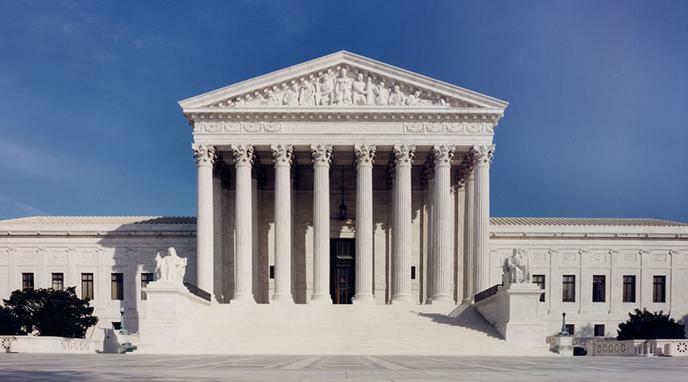 Appointments to the US Supreme Court should be for fixed 18-year terms. Term limits will make appointments to the Supreme Court less political and partisan. Given the importance of Supreme Court rulings, it is unfair from a democratic point of view that some Presidents get to appoint multiple judges and others none. The way in which Government Institutions, such as the Supreme Court, operate should reflect the will of the people. If 'every President will be able to appoint at least two Justices during a four year term' then the ideological leanings of the Court are likely to change more frequently. states that federal judges 'shall hold their Offices during good Behavior', not setting any term limits on their tenure. Life tenure is necessary to keep Justices detached from political or economic matters and keep their judgements unbiased. It should not matter which individual sits on the bench (assuming basic qualifications). The role should be executed in exactly the same way no matter who the individual Justices are. Concern over who exactly holds office as a Justice is therefore misplaced. Lifetime appointments can increase the legal expertise of the Court.